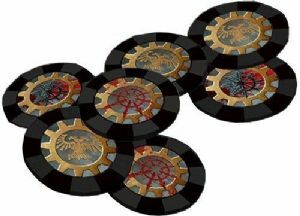 These special tokens are sized appropriately for use with the Wrath & Glory battlemaps. Made from a clear, durable acrylic, they are great additions for any Wrath & Glory Game Master's toolbox. These tokens represent NPCs, monsters, and other adversaries encountered during the game.